I know the power of a story because I experienced it. One woman’s story gave me hope and that hope changed me. That is why am I passionate to help you share your story. Someone needs to hear what you have to say. I believe you are on this page for a reason. Let’s explore the possibilities! ARE YOU READY TO ENHANCE YOUR SPEAKING MINISTRY? I'm here to help you achieve your greatness for God's glory! When we connect you will gain clarity, explore possibilities, build confidence, achieve goals, cultivate relationships, and fulfill dreams. Receive the FREE “VISION” assessment when you sign up to determine your next step. Would you like to get rid of the mind-clutter and get clear on God’s plan for your life? At a VISION BOARD WORKSHOP OR RETREAT you will discover that when your brainwaves connect with your heartwaves it sparks something in you to reach your full potential and go after your dreams! Do you desire a safe place to conquer fear and dream big? Coaching provides confidentiality, encouragement, discovery, accountability and strategies for a successful speaking ministry. These proven tools inspire positive life transformation for quicker results and deeper life purpose. They will maximize your impact in ministry, relationships and life. Lori is a fun favorite at women’s’ retreats and conferences. Her message is honest, heartfelt and sprinkled with humor. She leaves her audiences connected, comforted and changed. Lori has a passion to speak hope and healing into broken lives. Her compassion is inspiring and her message life changing. Lori is a great coach. She is very knowledgable, yet her approach is supportive and gentle. Within two weeks of using the tools she shared with me, I made important breakthroughs in areas where I was stuck. 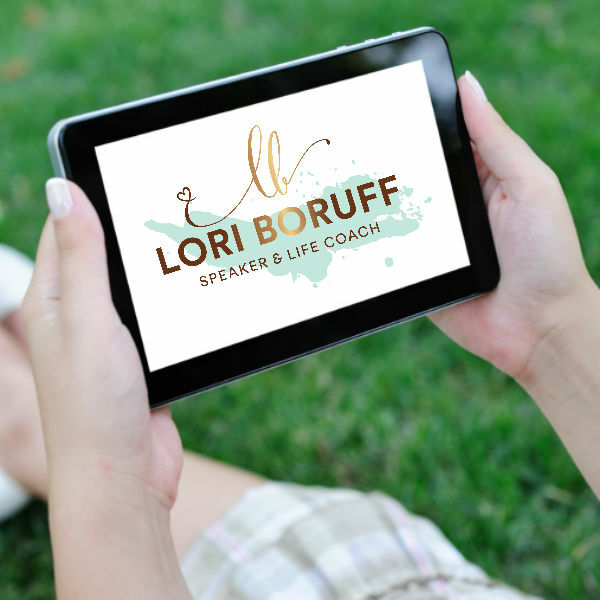 Lori’s coaching brought me out of survival mode and into a growth pattern. Her approach is professional and personal. Since she taught me the tools and how to use them, I’ve been steadily moving forward in my calling. Lori’s certified on paper, but she’s qualified by God. Our deepest fear is not that we are inadequate. Our deepest fear is that we are powerful beyond measure. It is our light, not our darkness that most frightens us…As we are liberated from our own fear, our presence automatically liberates others.